Walia has been serving authentic Ethiopian food in San Jose for a couple of years. From the many African faces in the restaurant I could see it was a popular eating place for those were craving for a taste of the food they had left behind when they decided to make the United States their new home. Yelpers seems to agree about this restaurant too; Walia has a four-star rating. Ethiopia has a diverse geography which has resulted in a wide diversity of agricultural production. However staples are dominated by cereals, pulses, and root crops. Sorghum, millet and cowpeas are the most common ones. However teff is an important one and deserves a special note here. Unique to Ehiopia, teff is a grass with tiny seeds. Difficult to harvest but loaded with nutrients, this cereal forms the base ingredient for Ethiopia's most iconic bread, the injera. 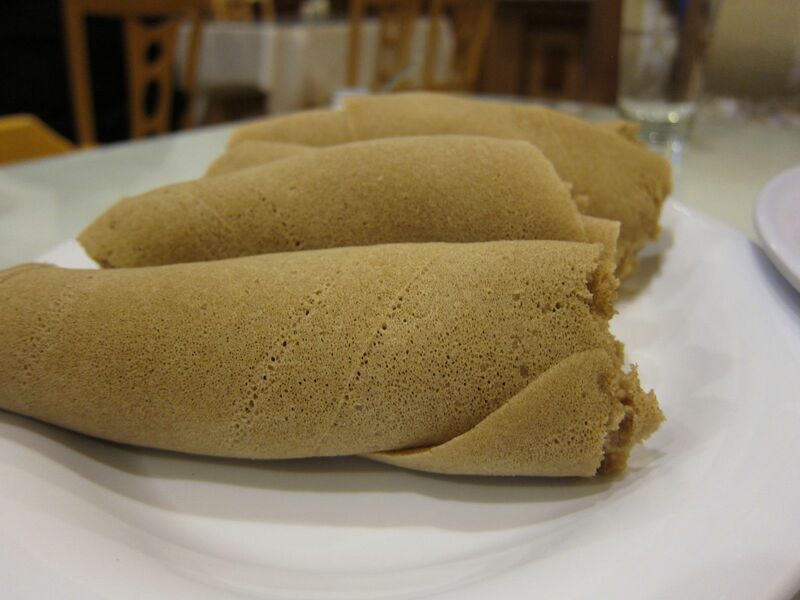 Meals involve a large injera, a spongy flatbread made of slightly fermented batter of teff flour, a variety stews called wat, and other vegetable and meat dishes. 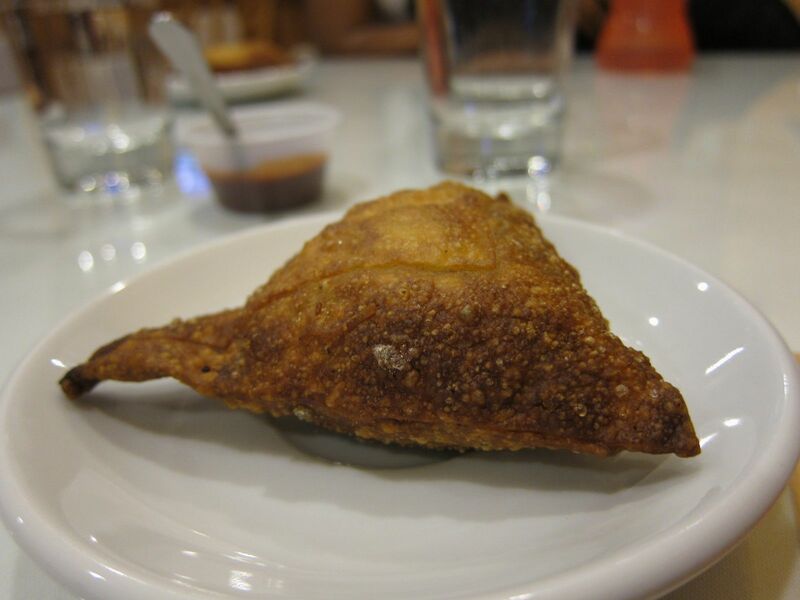 We started with a mutton sambussa, a variant of the Indian samosa and filled with minced lamb and spices. 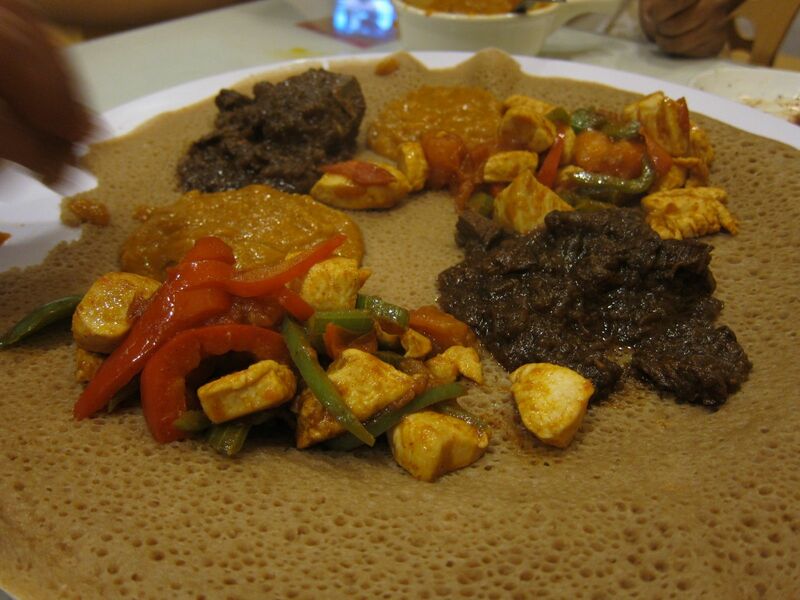 We then ladled hot spoonsful of Lamb Key Wot and Doro Tibs onto the shared injera in front of us. 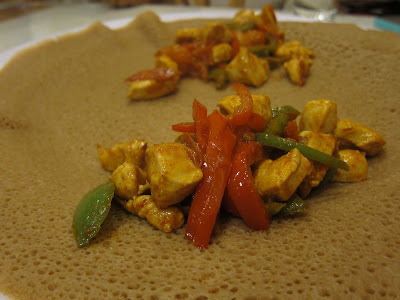 As we greedily tore into the soft injera and sponged up the spicy juices of the chicken and mutton stews, it made for a wonderfully communal dining experience! The Lamb Key Wot is a freshly made stew of lamb in red chilly sauce. The Doro Tibs is chicken cubes sautéed in a special blend of spices with red and green bell peppers. 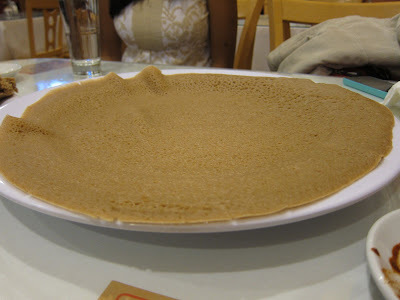 Both of them were amazing and we hungrily polished off the plate with more helpings of the lovely injera bread. An interesting nugget of information I picked up here: During a meal with friends, a person may tear off a piece of injera, dip it into the wat, and then roll it up and put it into the mouth of a friend. This ritual is called gorsha and is an act of cementing the friendship. 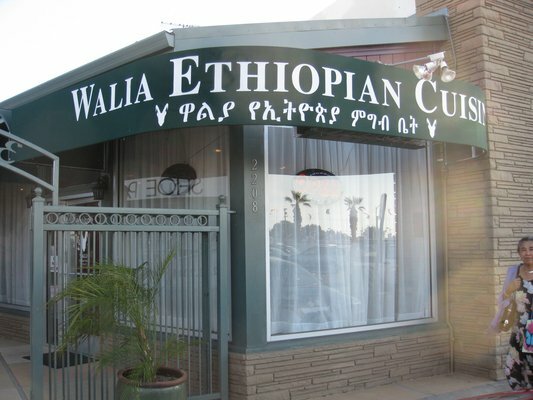 Overall, Walia is a wonderful place to try something outside the beaten path. 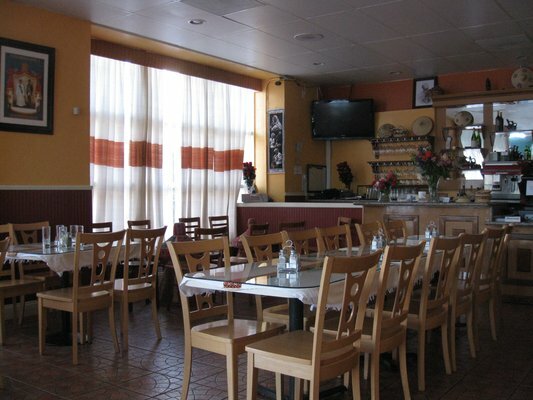 The food is lovingly cooked and even if the ambiance is not exactly fine-dining, it can make for a nice dinner-time experience with friends or family.